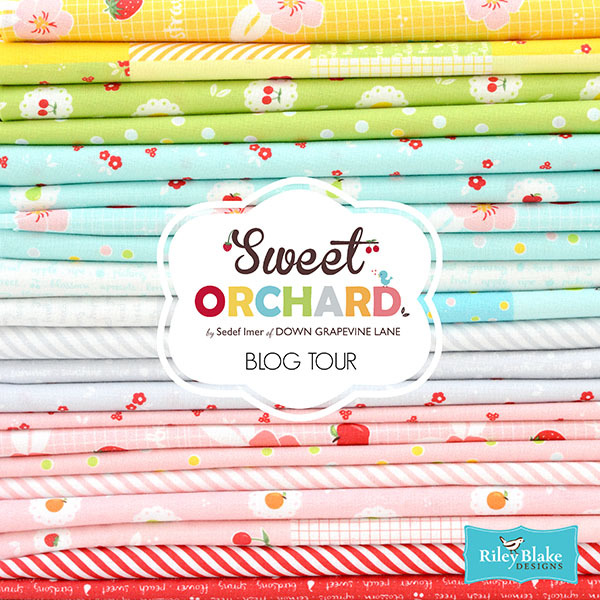 Sweet Orchard is the aptly named debut fabric collection from Sedef Imer of Down Grapevine Lane for Riley Blake Designs, and today I get to share with you what I have been sewing this past week using fabric from the collection as part of the Blog Tour :). I was fortunate enough to sew some small items for Sedef’s booth at Spring Quilt Market earlier this year, which meant I was already familiar with how delightful and fresh this collection is. So naturally when the opportunity to further explore the creative potential of the collection was extended to me I was grateful for the chance – Thanks Sedef and RBD! If you have a little girl in your life or you have a love for cute graphic illustrations then you will definitely fall in love with this fun and light-hearted collection. The colours are reminiscent of Spring at its best and the sweet details found on many of the prints are truly delightful. Two mini quilts I made for Sedef to display at Market. I must admit that while contemplating what I could make to share with you as part of the tour I was a little distracted with final preparations for my son’s 2 year missionary service in South Africa, and trying to decide on the perfect pattern while my mind was overflowing with to-do lists became one too many things to do ;)! I postponed sending my advance yardage fabric request to Riley Blake for as long as I could before I decided that the best thing to do would be to simplify my thought process. Rather than try to pre-empt the end result, instead I decided to focus on my favourite print from the collection and worry about exactly what to make at a later date. In the end I requested the Orchard Floral Aqua print since I am particularly partial to ditsy florals, the Orchard Stripe Red print to use as potential binding and a Swiss Dot that I thought would make a perfect background fabric. 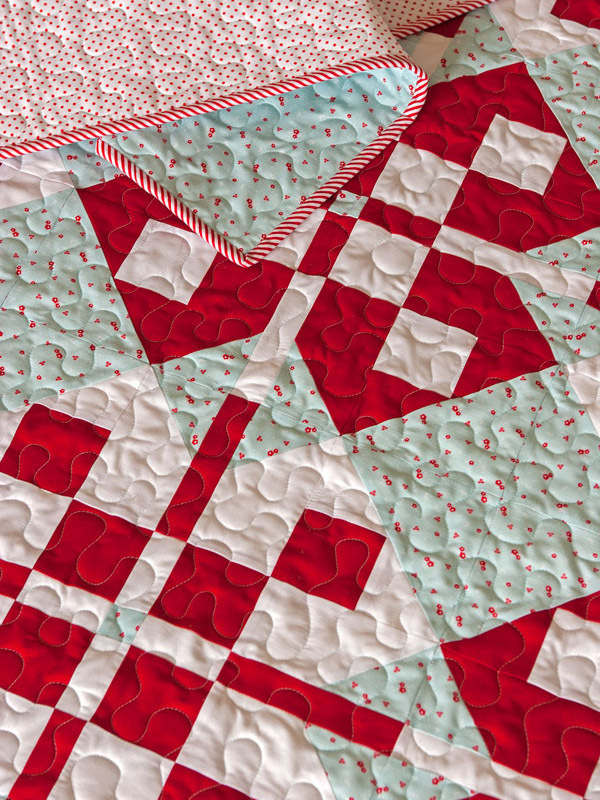 As soon as the fabric arrived I knew I had made a mistake – not only was the Swiss Dot I chose the wrong colour to complement the collection but I had forgot to order some pre-cuts to add that all important Sweet Orchard charm to whatever it was I was going to make! Oops – BIG oops!! Now I can laugh about it, but in that moment when I realised my error my heart momentarily sank to my feet! Rather than dwell on what might have been (LOL), I decided to focus on the good news – now I had very specific parameters to work with ;). All that was left to do was design something using what I had been sent, add in some solids and find a way to showcase the beautiful fabric. I do love a good design challenge and thanks to my mistake I thought this might prove to be a more difficult one, but after sketching some simple block ideas in my notebook and then spending an afternoon on the computer playing with the overall design I came up with something that I thought would work – and I set about turning it into reality. Piecing the blocks proved to be more difficult than anticipated. Each block consists of 3 different units and one of those units was determined to test my accuracy. Each corner unit for the block consists of a single square and the 3 half square triangles (1 large and 2 small), and while I was able to work out the mathematics of each cut piece I found that what was mathematically correct wasn’t necessarily in reality giving me the accurate outcome I desired. Even my usual technique of oversizing a piece and then trimming it back to size once stitched together wasn’t proving to be fruitful. Either the intersecting centre point was precise and the overall unit was too small or the overall unit was sized accurately and the precision of the point was lost :(. Looking back now I wonder if I was just having a bad day in the accuracy department, but whether that was the case or not I can happily report that when it came time to piece the units into a block, and the blocks into rows, with the smallest amount of tweaking the seams nested together perfectly and the quilt top came together with ease. 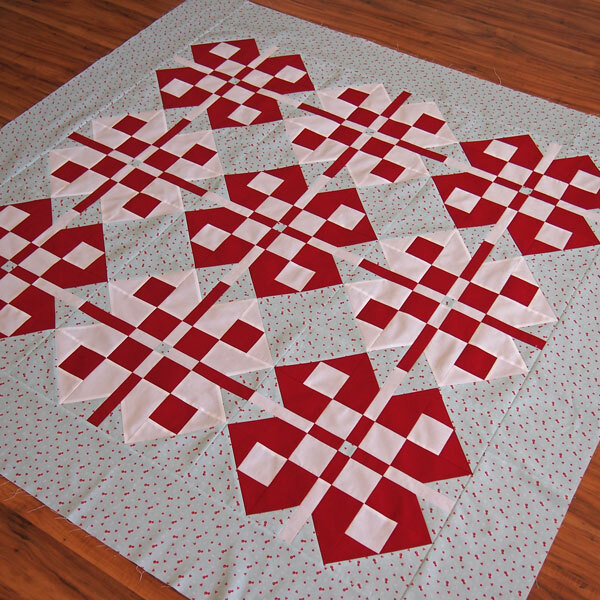 All the points are exactly where they need to be; you might say it was a quilting miracle ;). Perhaps I will go back and revisit the unit piecing later and see if I can find out what the mysterious issue at hand might have been – I do like the design possibilities a unit like that can enable, but I don’t like designing with blocks that cause unnecessary stress when being pieced together. 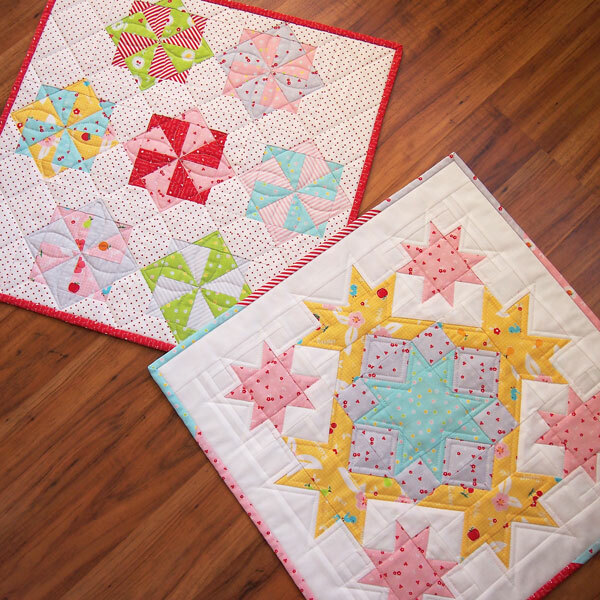 Do you find yourself gravitating more toward patterns with easy piecing, or do you prefer something that challenges your skills? 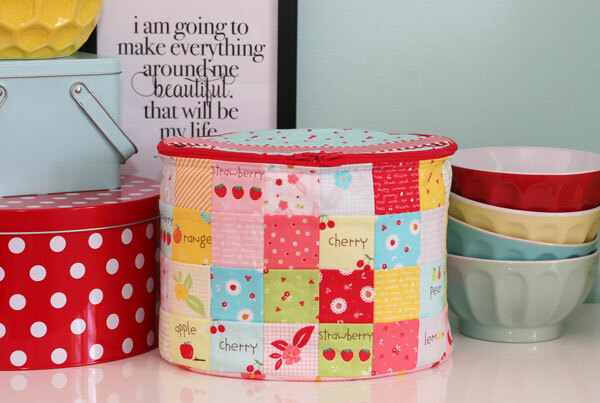 When choosing fabric for the backing I knew I couldn’t go past a sweet little polka dot, which combined with the horizontal stripe from the Sweet Orchard collection for the binding was undoubtedly perfect! I quilted the top with a basic meandering stitch and finished the binding by hand. The last thing I have to share is the Project Caddy Pouch I made to display at Quilt Market using a mix of squares cut from the cheater panels found in the collection. While I know it is a little counterintuitive to cut apart cheater prints I loved the mix of colours and the overall vibrancy the simple patchwork created when sewn back together. Already there have been some amazing makes on the tour and there will no doubt be many more before the tour is over. Until next time – have a great week friends! If you post a comment letting me know the type of patterns you most often purchase (easy, intermediate, challenging, designer etc) and why, then you might be the lucky recipient of some happy mail from me later in the week. Thanks for popping by :). 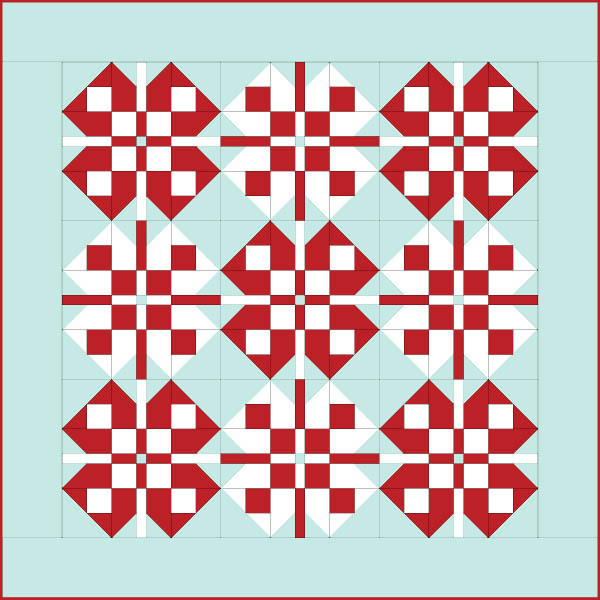 I primarily purchase “easy” patterns, I am just learning to quilt and would like more experience before challenging myself with more difficult patterns (although I do drool over many of the more difficult patterns that are out there). Love all sorts of bag patterns and sweet things for babies. Tend towards easy to intermediate. I love what you came up with! An OOP s can sometimes be a good thing, especially when you’re creative!! I tend to gravitate towards intermediate patterns, but every once in awhile I need something quick and easy! Your pattern and fabric are gorgeous! For go-to gifts I like easy patterns that look more complex, but I also love a good challenge for myself as long as I don’t have a deadline. I prefer intermediate patterns. 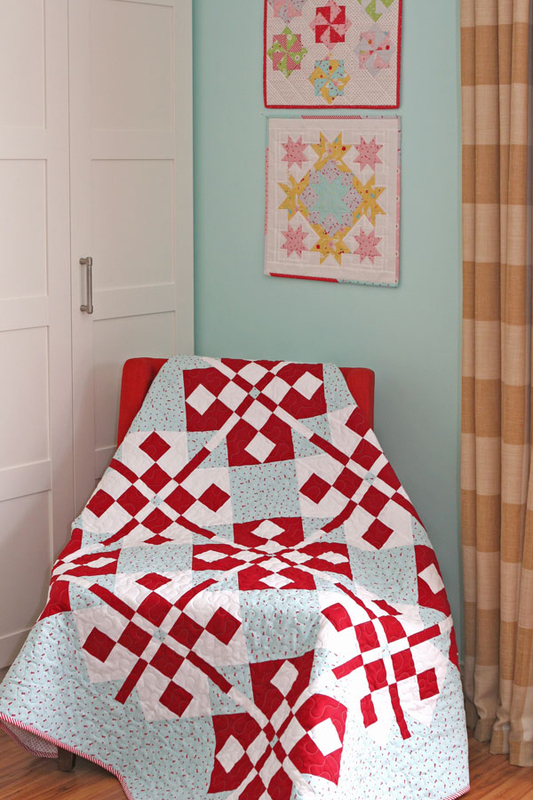 I like a quilt that goes together quickly and easily but has the look of being challenging. I love anything with stars in it! Gues you could say I’m star struck! I’m always looking for easy patterns for my disabled daughter to make, but for myself, I kind of go for whatever strikes my fancy, although I do love a good challenge! I often buy books with variety of patterns to try. 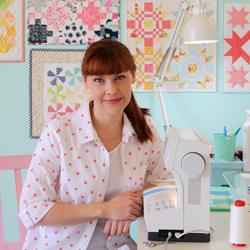 But I prefer to buy single patterns which are more difficult so I could improve… I have some mini quilts patterns waiting from easy to difficult. 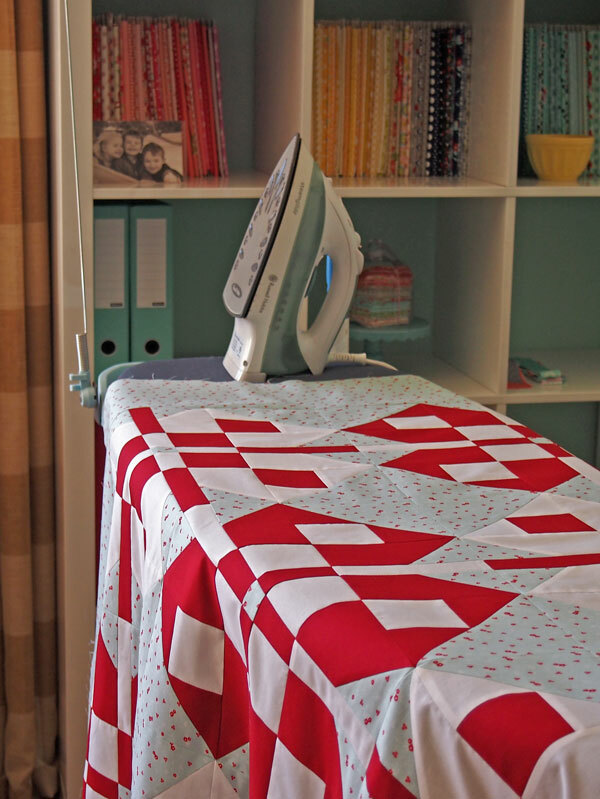 I like medium to advanced patterns – I like a challenge!! I definitely gravitate toward a challenging pattern. My sister always asks why don’t I make something easier, but I love to challenge myself! I feel like I really accomplished something when I “conquer” a difficult pattern and can say wow look what I did! I purchase what I like, I don’t worry about the skill level. I will learn the process as I go. I mostly purchase either easy or medium/intermediate because I am usually pressed for time. And I don’t want to devote a ton of time to figuring out a difficult pattern. I purchase all types of patterns. It’s more about what appeals to me than how challenging it is. I am very fond of mini quilts though.